When you need help with your home’s plumbing or sewer system in the Manchester, NH area, you need Rowell’s Services. We proudly offer a complete range of expert plumbing services and drain and sewer services, and you can always rely on our team for a job well done. We have been working in the area since 1983, and our team has decades of experience that helps them get the job done right the first time, every time. 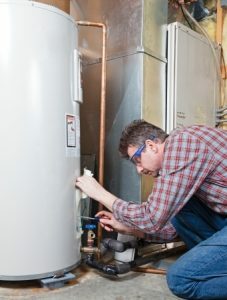 We know how important a functional plumbing system is to your family’s daily life, and we will do our best to complete your project as efficiently and affordably as possible. We also offer trenchless excavation and pipe relining services to minimize the amount of digging we need to do in your yard when you need sewer repair. And thanks to our drain inspection camera, we can take a close look at what’s going on inside your home’s pipes without causing any damage. If you need plumbing or sewer services in Manchester, NH, depend on the expert team right here at Rowell’s Services. We are passionate about what we do, and you can always count on us for a job well done. For 24/7 emergency service, call 603-934-4145 now.